England Women's boss Phil Neville says he does not understand why people would question Wayne Rooney's recall to the squad for the friendly against the USA. Rooney is coming out if international retirement for the Wembley friendly on November 15 to make his 120th appearance in an England shirt, something he has not donned in two years, but will not have the number 10 shirt or the captaincy. But Neville, who played with Rooney at Manchester United, has backed his return by saying: "I can't understand why nobody wouldn't want that. He is the greatest goal scorer that the England's men's team has ever produced. "He didn't want to interfere with this year's World Cup campaign when he was left out and he retired from the team. "And it's a celebration of one of our greatest. Now you talk about greats, talk about Bobby Moore, Bobby Charlton, Paul Gascoigne, David Beckham, Rooney scored more goals than any other male footballer in England. "I think that is something worth celebrating, I think that is something worth respecting and I think those that are actually questioning it, I think they need questioning, not those who have made the decision to have this game. "Wayne Rooney, the greatest goal scorer in England history, the greatest goal scorer in Manchester United's history and people are upset about having him play in a friendly game. "It is to say goodbye, to say thank you, for the fans to say thank you to one of our greatest. That to me, deserves celebration. "I will be there to celebrate someone I was lucky enough to play with for club and for country. To see grow from a young boy at Everton to Manchester United on his first occasion when he scored that hat-trick against Fenerbahce. "I think there will be a lot of people there, the stadium will be full and people should go and actually respect what he has done for his country. "That for me is the question why would be not want to respect, celebrate someone who is our greatest." 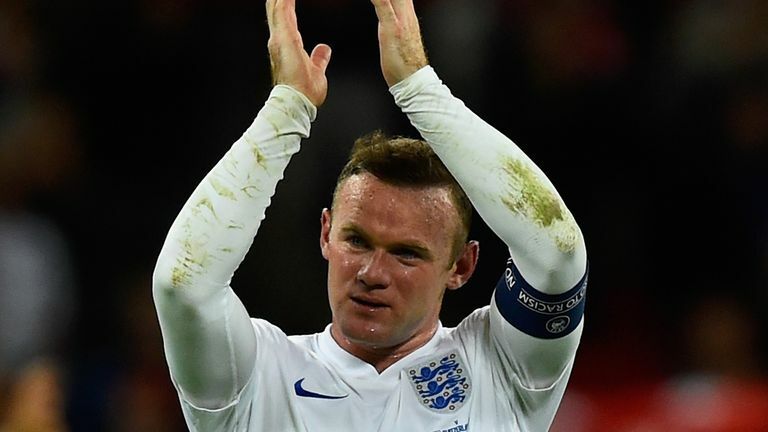 Gareth Southgate and the FA have taken the decision to include him in the squad for the upcoming friendly, which will be live on Sky Sports Main Event, and it will be called The Wayne Rooney Foundation International in support of Rooney's charitable interests.